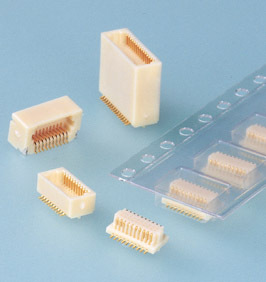 This JMC connector is 0.5mm pitch SMT type board to board connector with selection of boss existence. Comparing with conventional JMC connector, more small and space saving are realized. Various types are available such as top/side entry type connectors including the development of the stacking height variation for plug and the absorption misalignment type for receptacle.